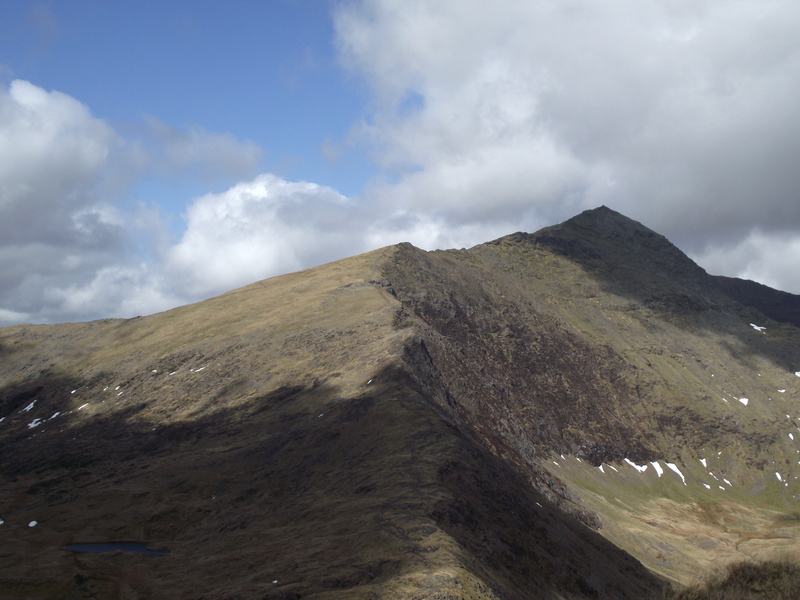 Yr Wyddfa (or Snowdon as we English call it) is one of the most visited mountain peaks in the UK. 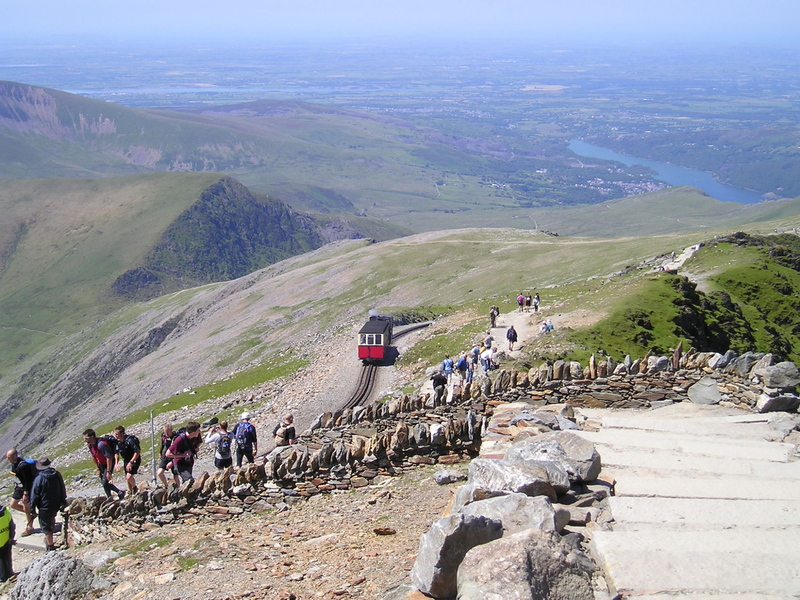 Being the highest mountain in Wales (and higher than anything in England) is guaranteed to bring in the crowds, but the rack-and-pinion railway that runs from Llanberis to the summit also boosts the number of visitors. Yr Wyddfa is not the place to seek solitude, but going up via the south Ridge is the best bet to have a quiet day. My mate Paul had a spare day and fancied a Welsh hill-walking day. But what to suggest? Paul had never been up Yr Wyddfa, but I wondered if the magic of a truly wonderful mountain would be spoiled by the crowds at the top. 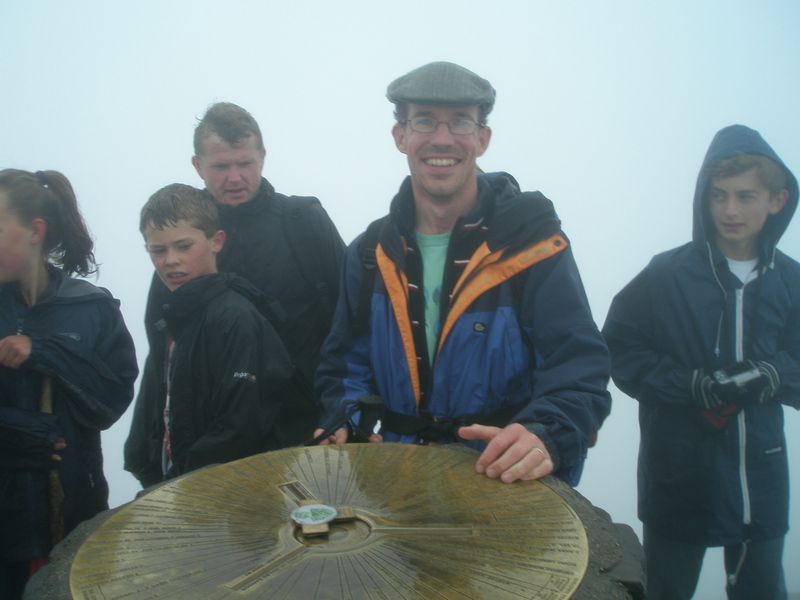 One solution would be to walk the mountain in bad visibility – that way Paul wouldn’t see the crowds. Or much else for that matter! 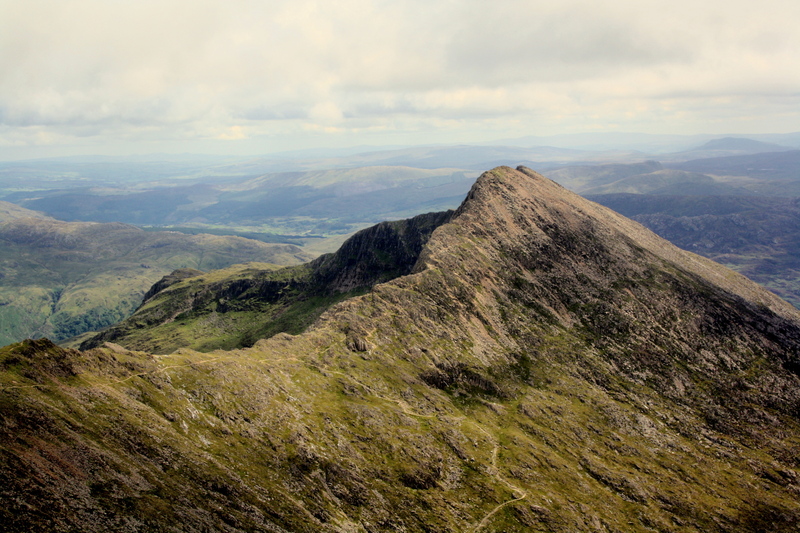 So, here are some of the views that Paul didn’t see on our Snowdon day. The “Thin Pass is well named – it has big drops on either side, but it’s never too thin, and rarely presents a problem even for those who hate airy ridges. The Rhyd Ddu Path joins the South Ridge just before the bwlch, and from there it’s a steady plod to the summit, passing the junction of the Watkin Path on the way. The views are outstanding, but not the day that Paul and I went up. 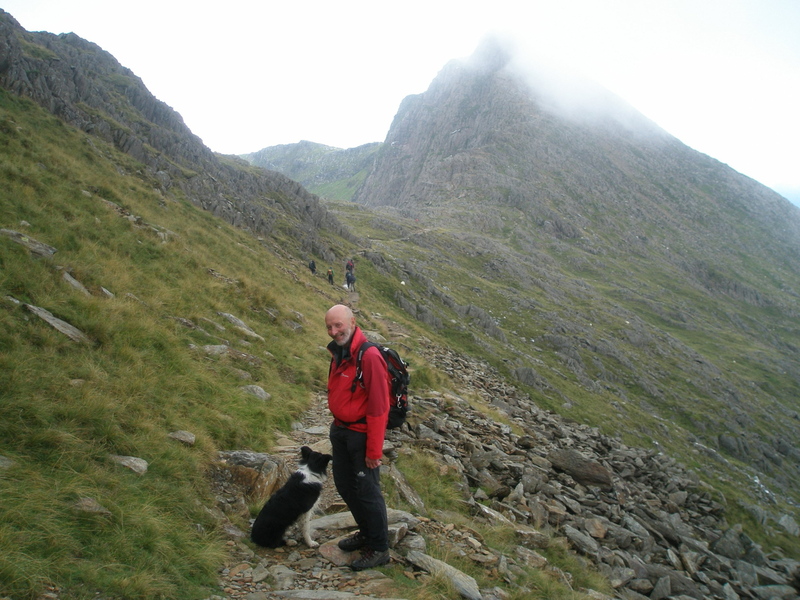 We branched off the Watkin early, heading up into Cwm Llan on the way to the South Ridge. 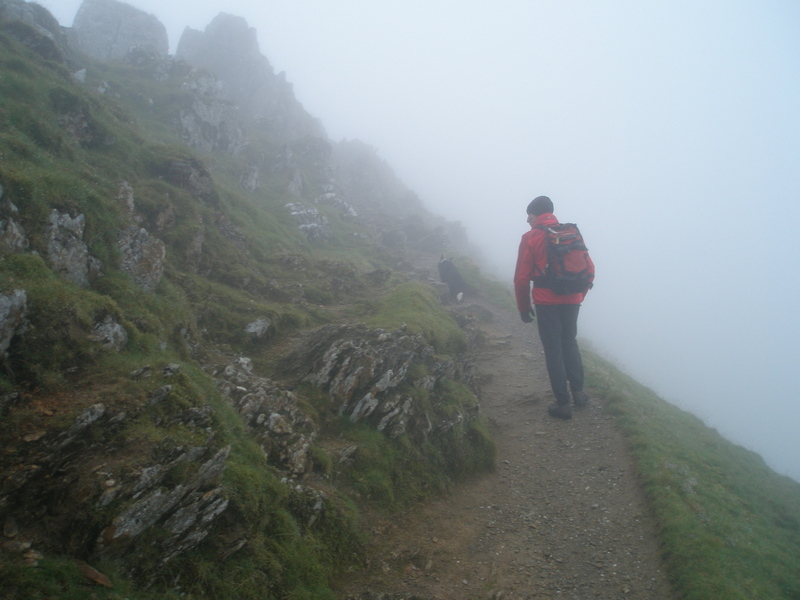 Bwlch Main was atmospheric in the swirling mist, and the summit was as busy as usual despite the conditions. 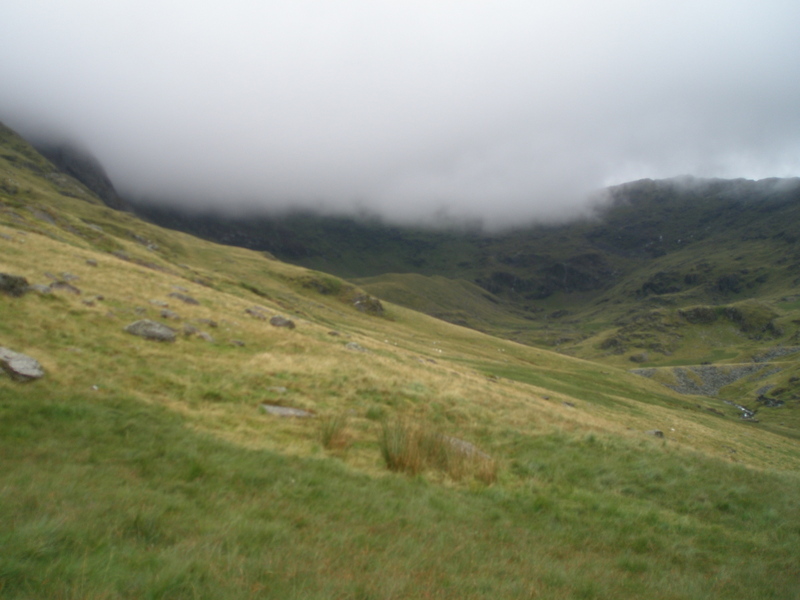 Having summited, we decided to go down the Watkin Path for the return. 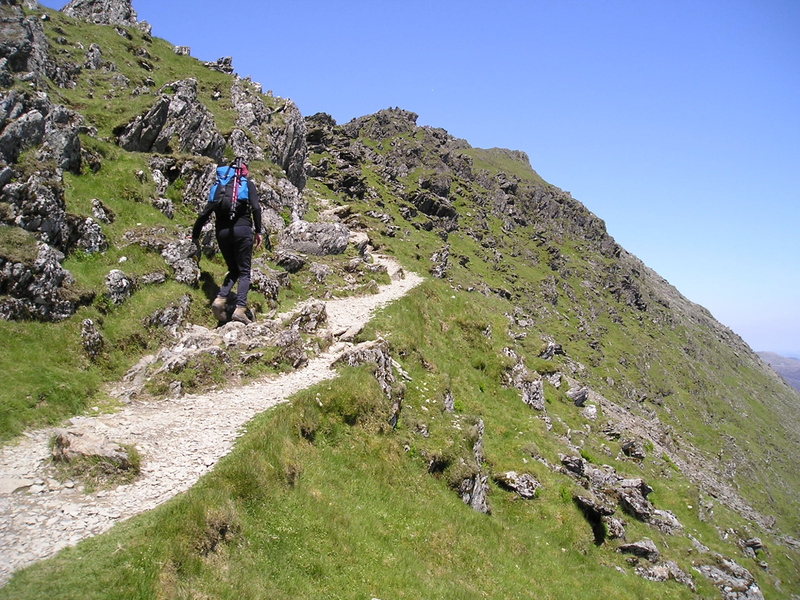 The upper section of the Watkin is horribly loose, and slogging up that way is my idea of hell – going down isn’t so bad though, and we made good time on the descent. The mist finally broke at Bwlch y Saethau (“Pass of the Arrows”) giving views to the lakes of Glaslyn and Llyn Llydaw. At the bwlch I stopped to demonstrate the wonders of modern technology, showing Paul my Mapping GPS. The device was obviously having a bad day, putting our position 700 metres away above Glaslyn, a sobering thought for those who rely solely on electronic devices for navigation. From the bwlch it was a steady yomp back down to Nantgwynant. This time I broke my pub jinx, with the Royal Goat at Beddgelert well and truly open! This entry was posted in 5. 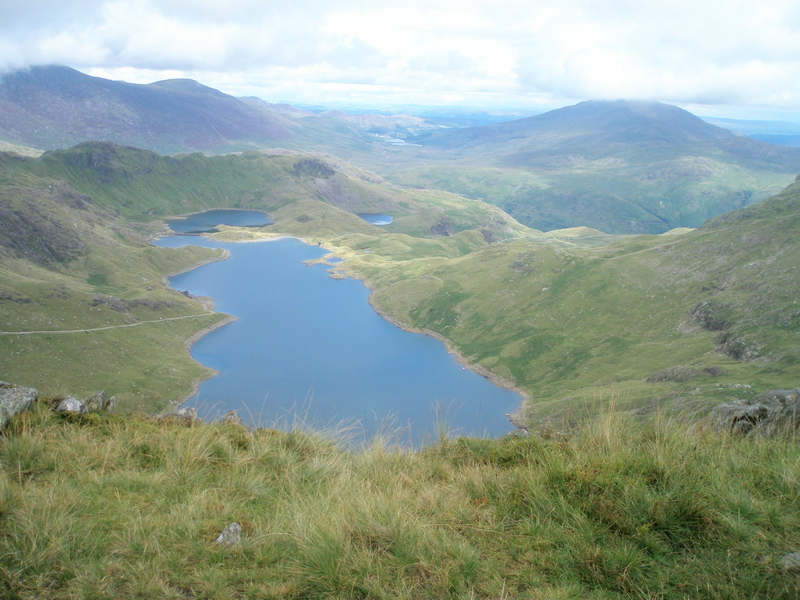 North Wales and tagged hillwalking, mountaineering, mountains, photography, Snowdonia, Yr Wyddfa. Bookmark the permalink. That is a lovely route. I’ve done it a couple of times, including in deep snow, and it’s brilliant every time. I’ve not done that route, but I have to say it looks a lovely way up! Its been a while since I’ve been up this route but it definitely on of the best. Glad you made it to the summit and it wasn’t too crowded with folk from the train or Pyg track! Great post Paul…I have only ever been up Yr Wyddfa once and that was when I was a kid. Several of our teachers planned a Youth Hostel trip to North Wales one weekend and I joined in. In absolutely torrential rain we walked up the great mountain. We saw nothing but rain and all I remember was getting thoroughly soaked and seeing nothing except rain dripping off my hood onto the ground. The teachers got us lost which made it worse and it took much longer to reach the summit. We ate our soggy wet sandwiches in the rain and no-one said a word. It carried on raining very heavily until we got back to the Youth Hostel when it stopped and the sun came out. How many kids have been put off the hills for life by similar trips! I’d be glad to recommend some walks and to join you. Big contrast between the images from two separate days. It’s many years since I walked up Bwlch Main. 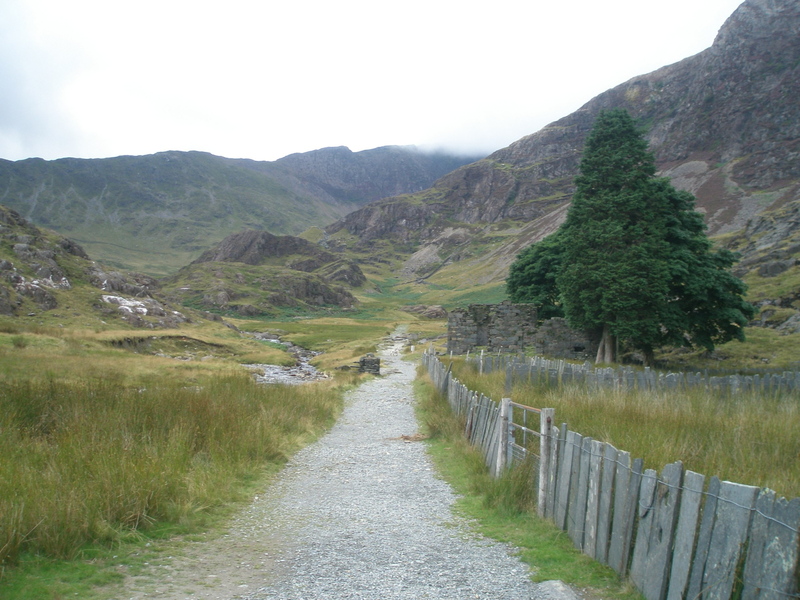 The only route I have yet to do is the path from Rhyd Ddu. I was hoping to get up there this summer before the weather changed but it just hasn’t happened sadly. Some superb images, Paul. Good memories of a top day out Paul! 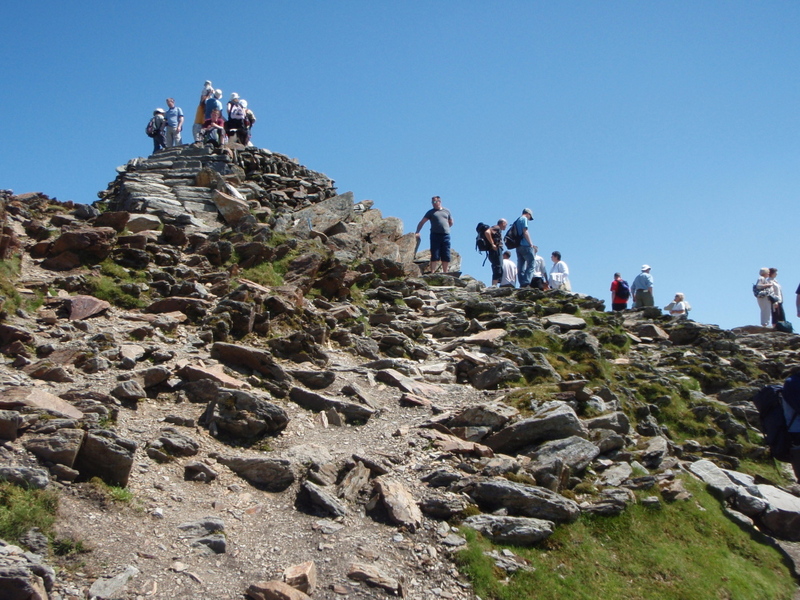 When we talked about meeting up and I asked you for suggestions of a top walk in north Wales, the last mountain I thought you would suggest is Snowdon, as I had visions of a queue of people up the mountain! But this route was superb and we didn’t meet many people until we got to the top. 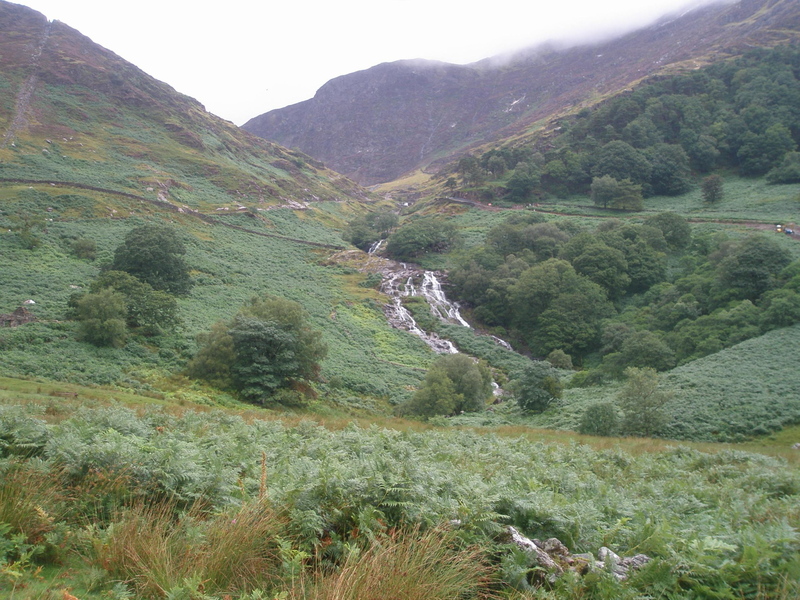 The walk up the valley was picturesque and the climb felt very gradual – I still thought we had a way to go when you announced we were about to reach the top! (helped by the mist, as we couldn’t see where the top was!!). The view of the lakes when we dropped down from the summitt made up for the lack of view from the top! Cheers Paul – good mountain, good craic = a great day. 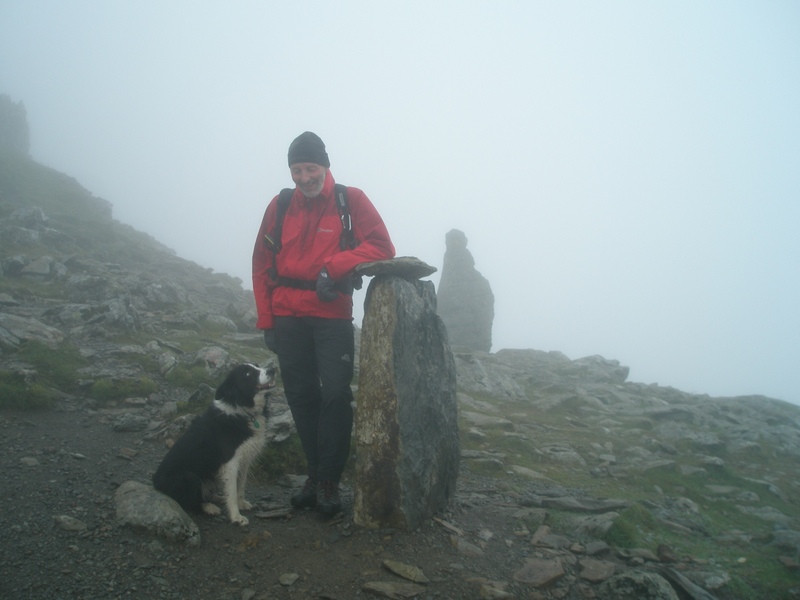 Nice post Paul – this was always one of my favorite routes to Snowdon. Everyone else goes from Llanberis or Pen y Pass (or cheats and gets the train!) so you can have the route to yourself. Bwlch Main is a joy too – awesome position without being too hard! Cheers Pete. I love the mountain despite the crowds, railway, cafe, et al. I agree with you, though – Bwlch Main is delightful! That last photo’s a beaut! My favourite place in Britain is Bwlch Main – just enough excitement for me but really safe. 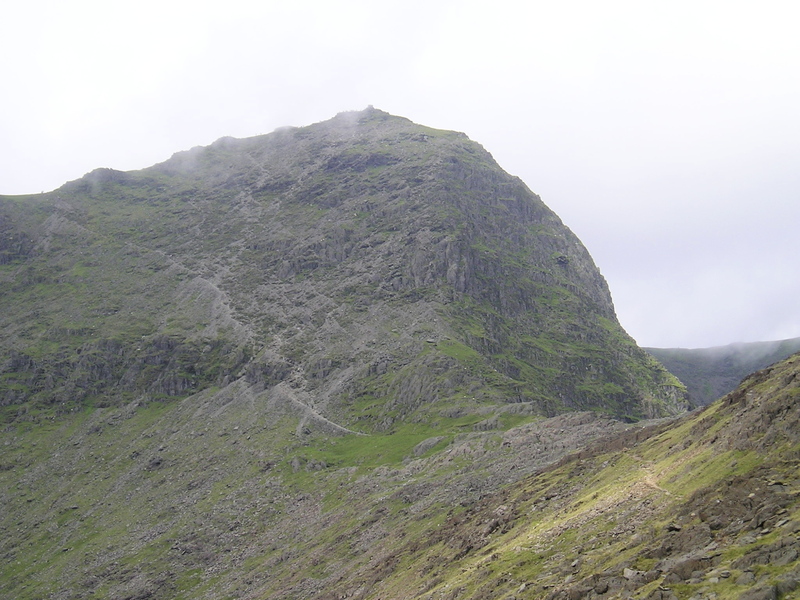 Can’t say I like that top part of the Watkin Path – I never descend it and rarely go up it. I’ve probably had worse weather on Snowdon than many other hills I’ve done ‘outwith Scotland’ but I never mind as it’s such a great hill. It’s definitely my joint favourite British hill along with Grisedale Pike in the Lakes. I get a bit annoyed as I’m on a Scottish walking forum and they really dismiss everything below the border and really slag Snowdon off. Seeing as the ones doing the complaining have never been south of the border, I don’t see how they feel justified in negative comments about hills they’ve never done. 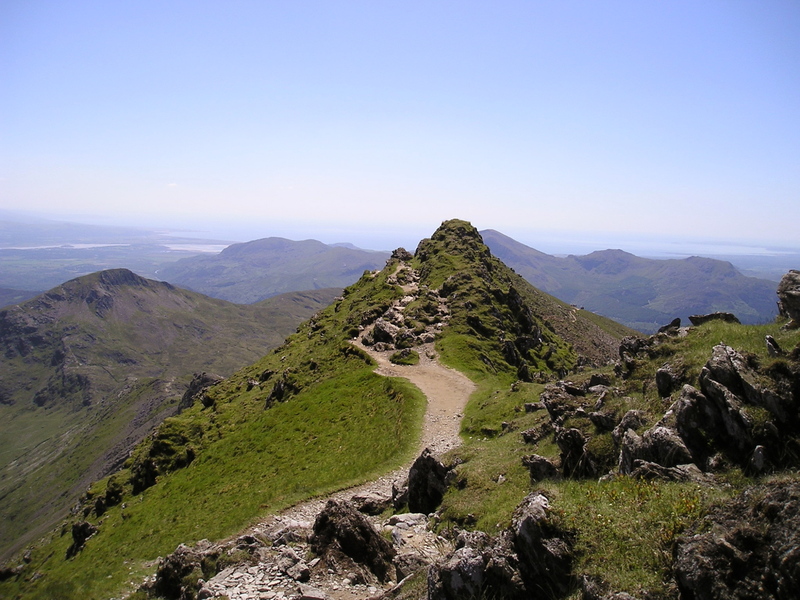 To me, Snowdon, with its variety of routes, is a peach! 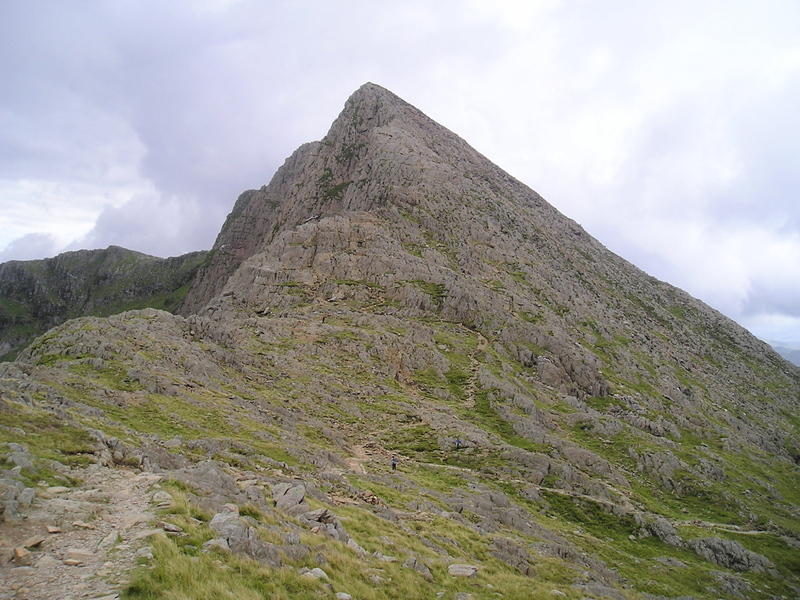 I 1st walked up Snowdon age 11 and have recently pieced together the route as being this one – more or less. Was a roasting hot day and I remember we jumped into icy pools on the way down… This year we finally did Crib Coch – unforgetable. 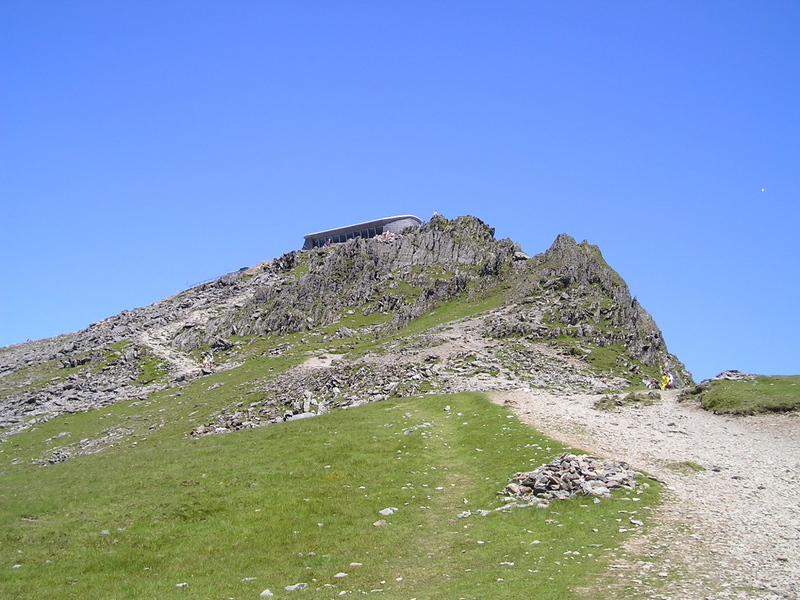 I think Snowdon gets slagged off simply because of the cafe and crowds at the top, but in truth its a fantastic mountain! 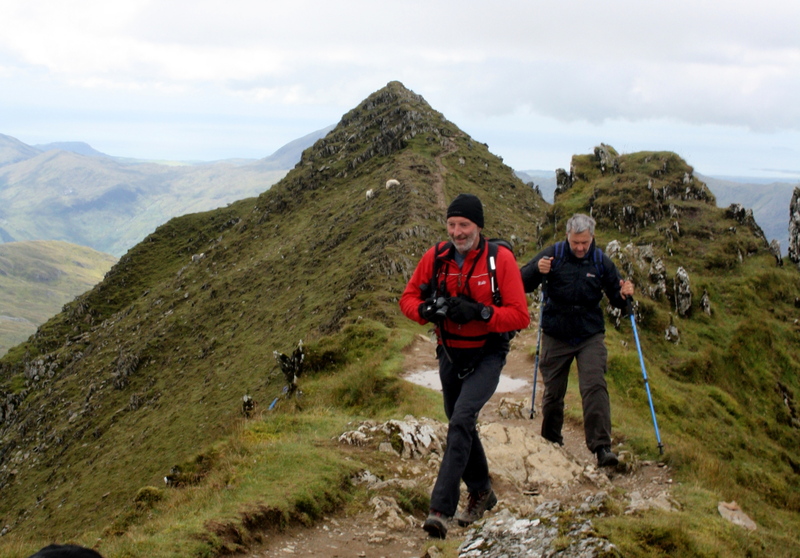 Couldn’t agree more, Mark – Snowdon is a great mountain for all.